The credit for discovery of petroleum in Venezuela belongs to Indian tribes residing at the shores of the Maracaibo lake. They used that strange oily substance, disgorged from the earth, for medical purposes — as a means for stomach upsets. When Spanish conquistadors came, the faith in healing properties of «devil's excrement» has increased. For medical purposes of the royal court they sent a couple of small casks («barrels») of petroleum ( «mene» - in the language of Indians) with recommendations to use it for treating, first of all, the sickness of aristocrats — gout. Active commercial development of petroleum in Venezuela started in the second decade of the XXth century during the time of Juan Vicente Gomez dictatorship. 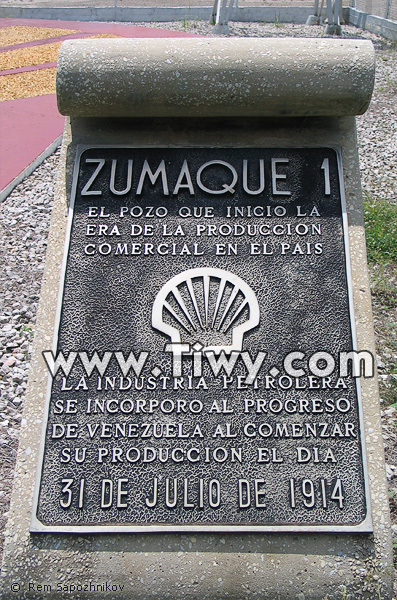 The first oil well was bored in 1914 in the region of Mene Grande, Zulia state and got the name of Zumaque I. Nowadays this place is a memorial one, and everybody who reveals genuine interest to history of Venezuela, try to visit it, as it is the oil that, first of all, is associated with the past, present and future of the country. 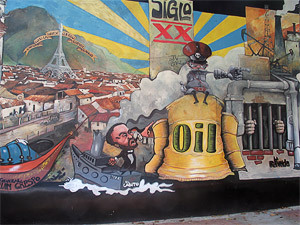 Oil is often called a «blessing» of Venezuela, and quite often its «curse». 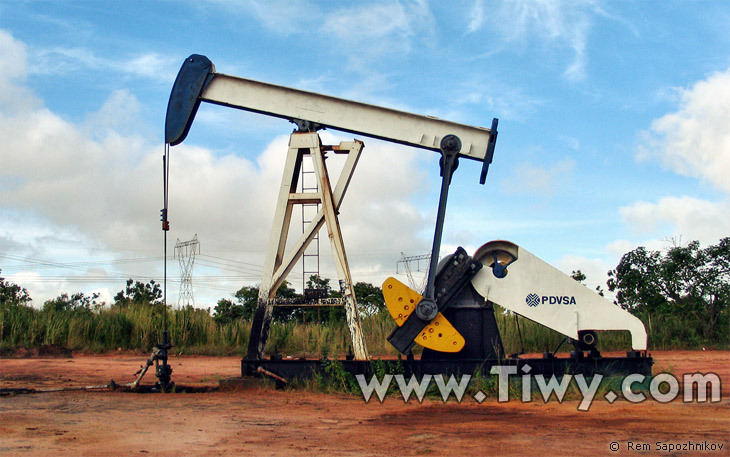 Development of bottomless reserves of «black gold» brought huge profits to the country, but it also brought a lot of harm to harmonic development of the state. Replacing one another governments used the guaranteed «oil rent» for calm life, not paying much attention to progress of other branches of economy. Agriculture was practically abandoned, high technologies of industry were ignored. Everything was purchased for petrodollars, mainly in the USA, to which the state petroleum company of Venezuela — PDVSA was oriented. Simultaneously with this, the process of uncontrollable Americanization of the country has started. The Venezuelan political and economic elite used to live in «two houses», and one may say that the house in the USA, meant much more for it. Anxiety for the destiny of the country that was more and more getting under dependence of the predatory imperialist state on the North, economically and socially degraded and in reality has become a colony of transnational corporation lead to emerge of powerful protest trends of left-nationalist nature. Plunder of national petroleum resources, even more evident desire of the corrupt elite to their «creeping» privatisation, that is transfer under the complete control of the «empire» has become one of the factors of birth of the Bolivarian movement headed by Lt Col Hugo Chavez Frias, the decisive role in which was played by Venezuelan military. 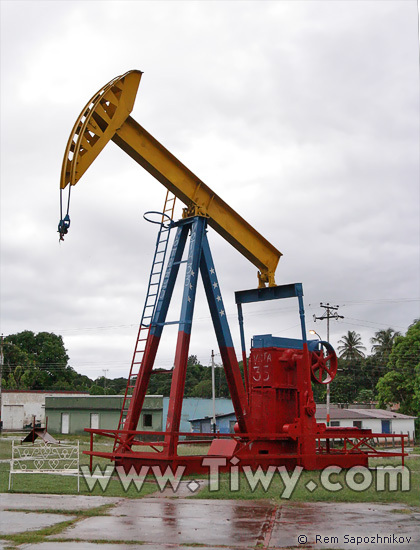 The struggle for return of oil into real property of the state required from the president Chavez and his supporters the unbelievable efforts. More than once it seemed that the fate of the Bolivarian revolution and the life of the president himself hung by a thread. However, after a two-month duel-confrontation of supporters of Chavez with «petroleum elite» (administrative structure of PDVSA, greedy meritocracia), which resorted to a sheer sabotage and organisation of acts of sabotage at petroleum enterprises, the patriotic forces took an upper hand. 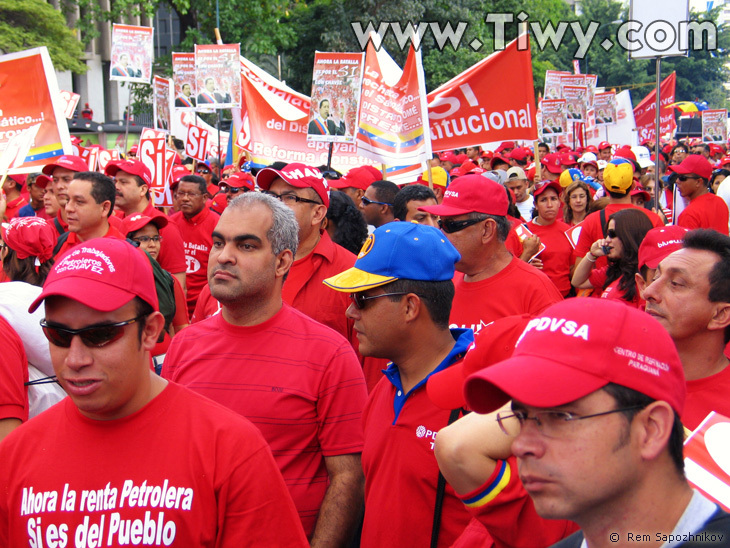 PDVSA came under the unconditional control of the state and people. The «oil rent» profits that previously used to be spent for without restraint for luxurious life of political and and finance-economical «sheikhs», for generous social programs, for integration purposes in the region. Naturally it causes counteraction of the United States and neo-liberal globalsists: «Chavez wastes petrodollar profits, Chavez is an economic layman, Chavez leads the country to economic crisis». Nowadays it is clearly evident in which country and who in particular was a reckless spendthrift, complete ignoramus, and who, stuffing their pockets at financial speculations plunged both his country and whole humanity in the most severe crisis, the way out of which would cost incredible efforts and sacrifices. 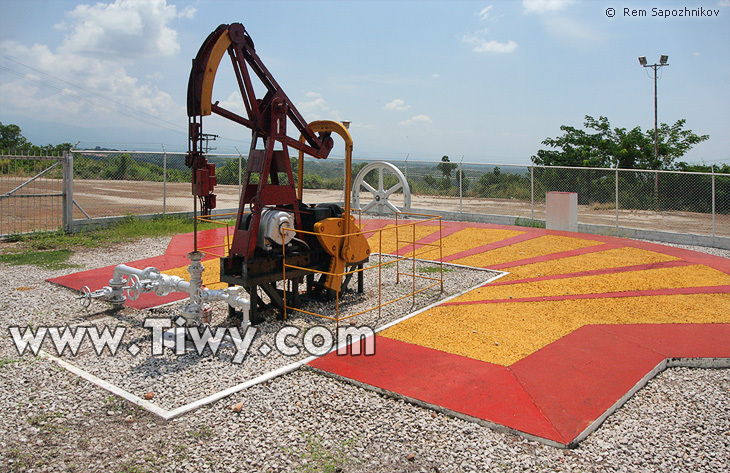 Oil well Zumaque I in Zulia state is a historic relic of Venezuela. 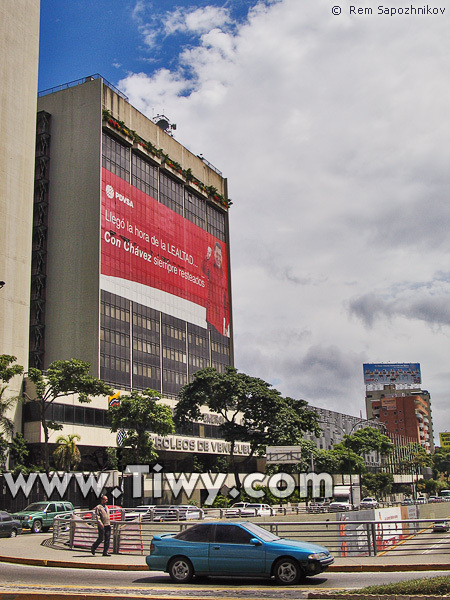 A tourist that turned out to be in Caracas will be definitely shown the building of PDVSA, petroleum headquarters of the Bolivarian Republic of Venezuela. 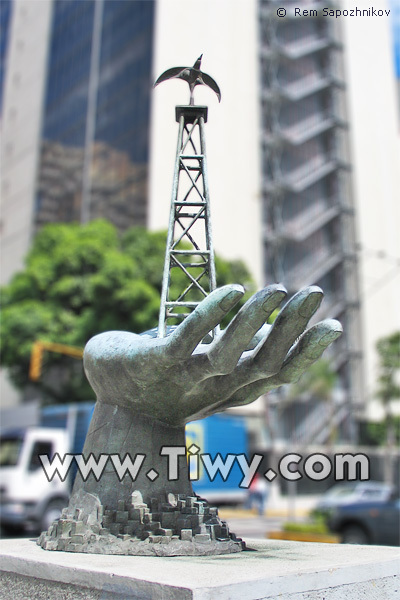 Sculpture composition — oil derrick on a palm — a symbol of the new stage in the history of PDVSA: the main wealth of the country now belongs to the people! 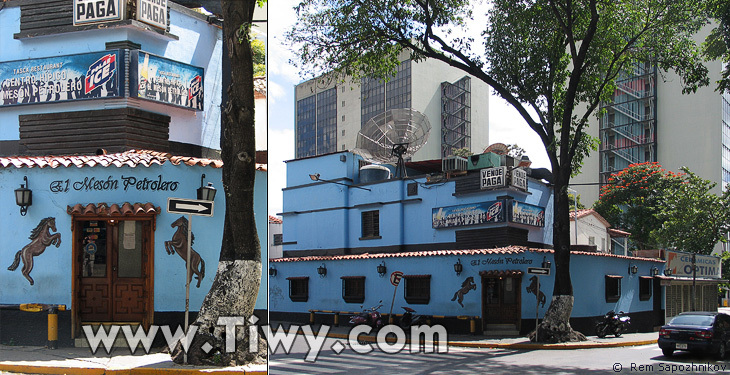 Near the main building of PDVSA there is a restaurant with a «petroleum name». It is not distinguished by special luxury. The restaurant is kept afloat thanks to an electronic totalizator. Risky gamblers but not oilmen cluster there together. 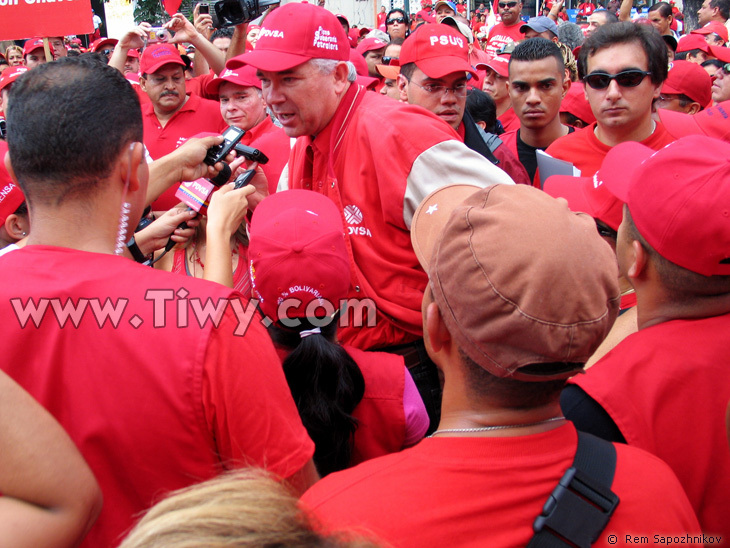 Minister of energy and oil of Venezuela Rafael Ramirez and present employees of PDVSA are devoted participants of manifestations and meetings in support of the Bolivarian republic and president Hugo Chavez. 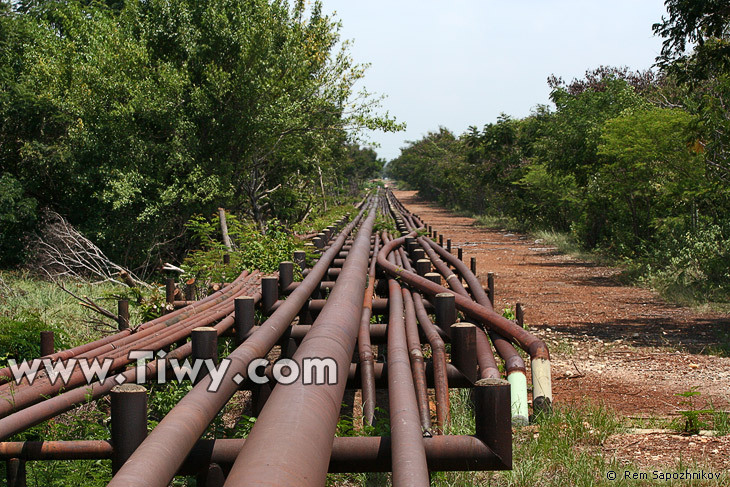 In any trip about Venezuela you are accompanied by endless oil and gas pipelines. They are gladly used for election campaign both by chavists and oppositionists. Venezuela is literally «swimming» on top of oil. You can see drilling machines everywhere. I came across this one on my way from El Tigre to Ciudad Bolivar. I used to take pictures of this outwardly unpretentious jack pump several times, and at that with interval of two, three and four years. And all this time it tirelessly supplied oil on the surface. 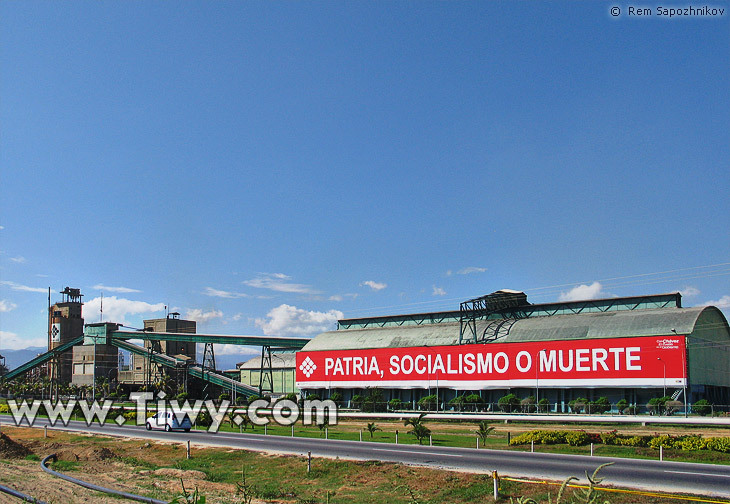 Apropos, the photo of this jack pump, published at Tiwy.com used to become the object of plagiarism more than once, including the mass media of Venezuela itself. 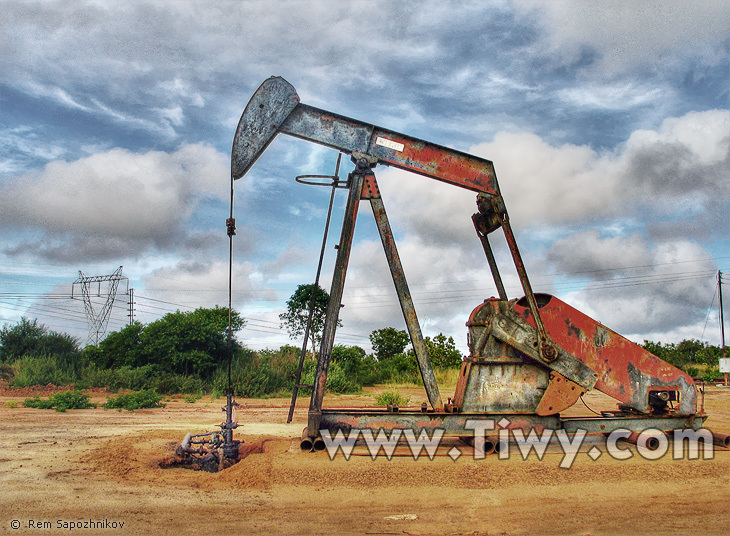 In many cities, the past of which was connected with oil, the frozen «unemployed» jack pumps can be found as monuments. They were needed when oil was present, and nowadays, these are sad, the pensioners that have served their time. 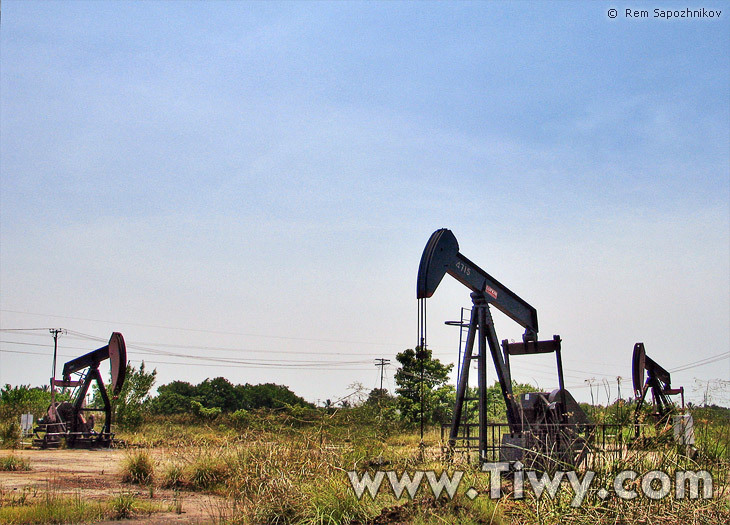 I came across most of the workaholic jack pumps in the vicinity of the Maracaibo lake. It is in this region there is the best quality and the most convenient for processing «light» oil. On this oil, mainly western allies of the USSR, fought in the years of the second world war. 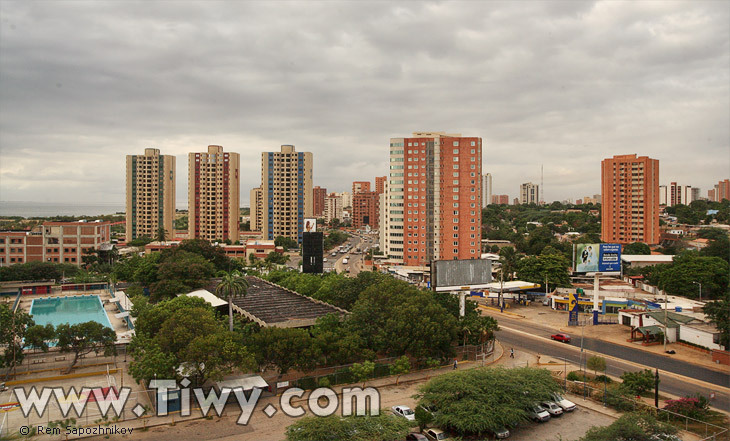 The city of Maracaibo is the unofficial oil capital of Venezuela. A lot of rich people that do not «favour» the Bolivarian authorities and personally commandante Hugo Chavez. Separatist tendencies, that are quietly heated up by the United States, are strong in Maracaibo. Falcon state — is the most important center of oil processing. 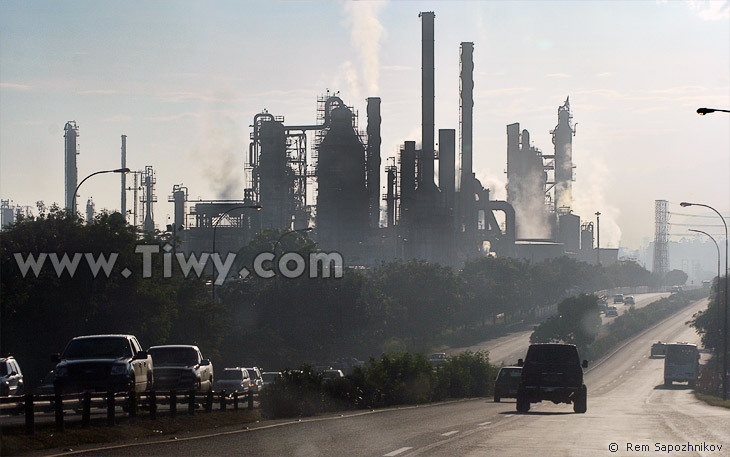 The modern complex Cardon on the Paraguana peninsula produces an unforgettable impression on such fanatics of industrial landscape as myself. Cardon refinery provides employment to residents of Falcon state and good quality petrol to the whole country. 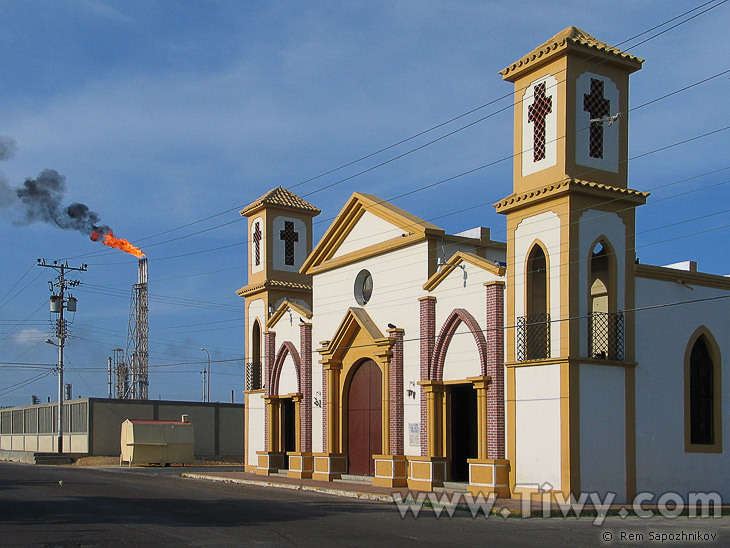 From any point of the town Punto Fijo on Paraguana one can see an «eternal flame» of Cardon refinery. 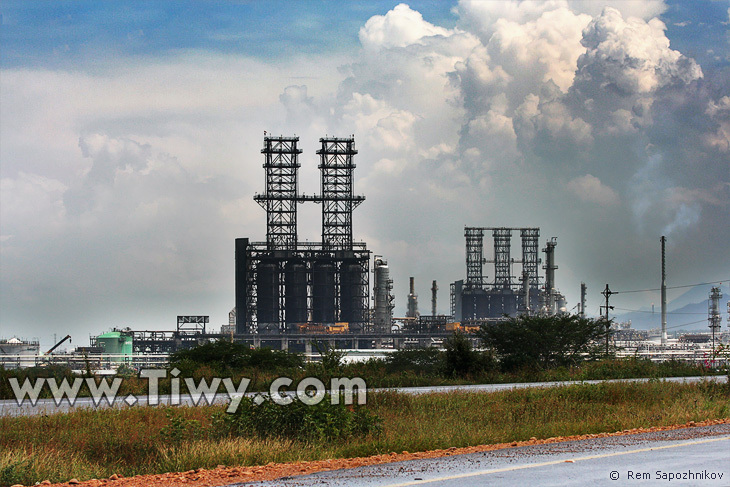 Another impressive oil refinery complex is situated on the Caribbean shore, right at the approach to the city of Puerto Cabello. 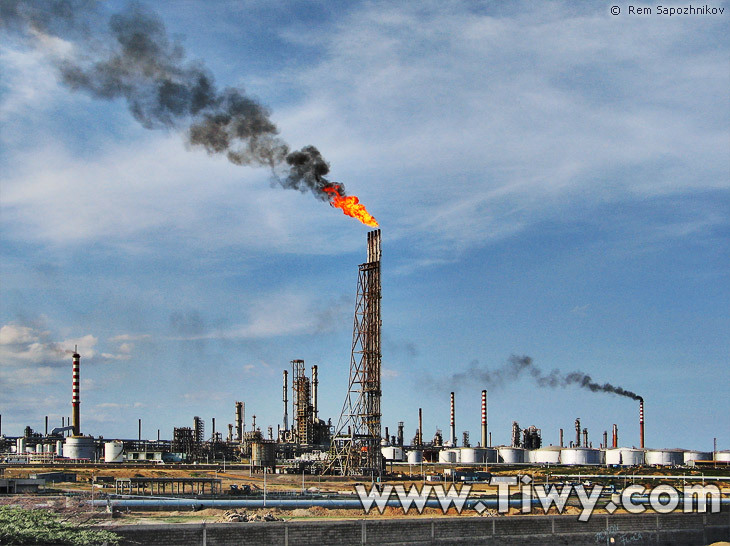 Along the Caribbean shoreline — between the cities of Piritu and Barcelona there is the largest in Latin America petroleum refinery complex Jose Antonio Anzoategui. 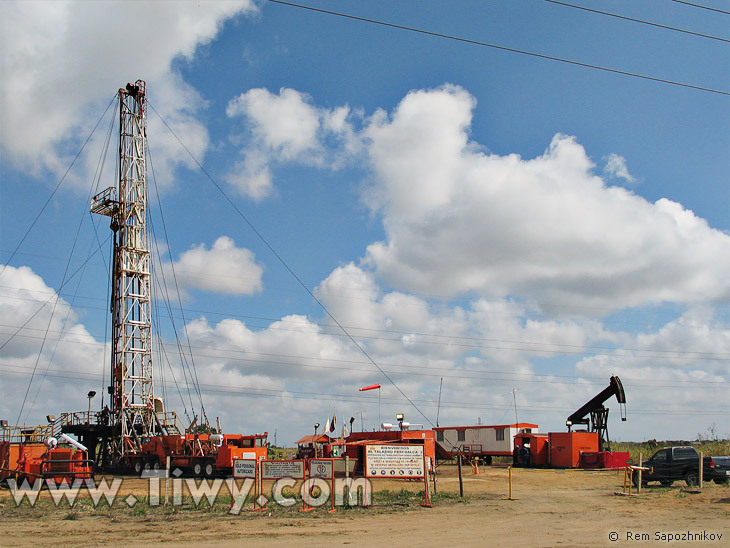 Active preparatory works are under way for development of oil-gas deposits in the bay of Paria (Sucre state) and at the mouth of the Orinoco river (Delta Amacuro). Stentorian call of progress is heard out loud in these areas, that got used to a calm pace of hunters and rattling of fishermen spinning rods. The considerable portion of petrodollars is spent by the Hugo Chavez government for improvement of living standards of Venezuelans, its poorest layers. The number 1 task is solution of the housing problem. 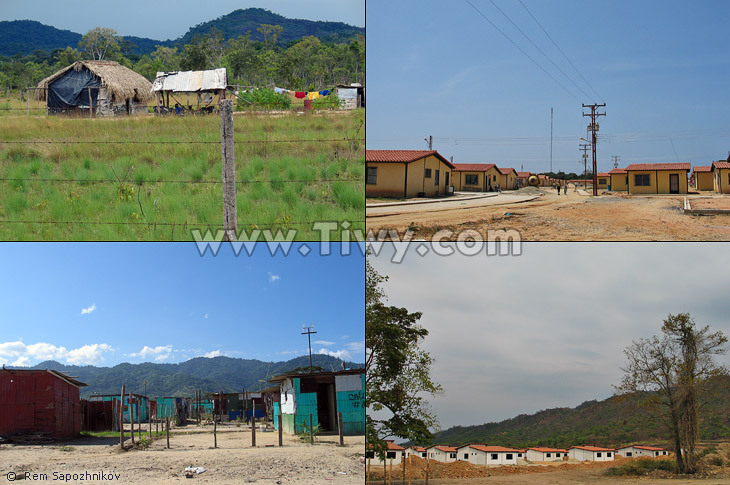 Ugly huts and shacks of sheet metal and card board yield their place to hundreds and thousands «people's houses». Never before has the power of Venezuela paid so much attention to people's needs.